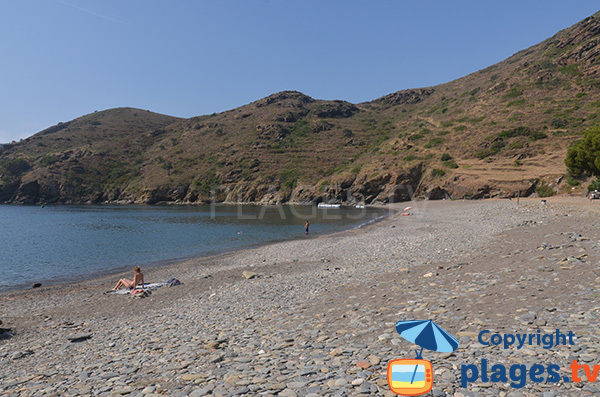 In the heart of Cape Creus, there is a beach in the Cala de Joncols. It is the last creek on the commune of Roses, the one that is furthest from the city center and the wildest. Pebbled, the creek itself is nothing extraordinary (especially that access is difficult), only its calm and isolation attracts a few people. 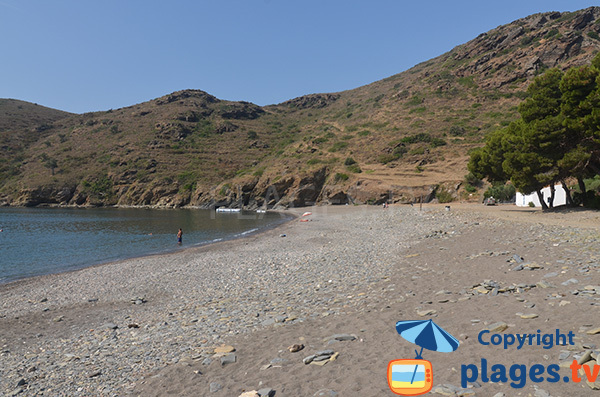 Seabeds are remarkable (as in all the creeks of Cape Creus) and invites to diving. Next to the beach, there is a small hotel offering some rooms and bungalows. 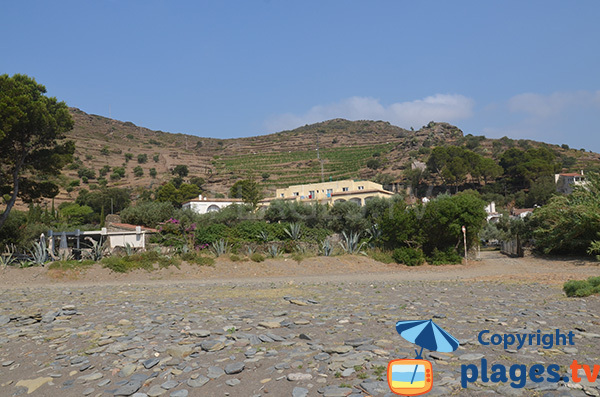 The place is nice but very isolated…In July-August, a restaurant opens on the edge of the beach (noon and night, be well informed before coming because the road is long and laborious). 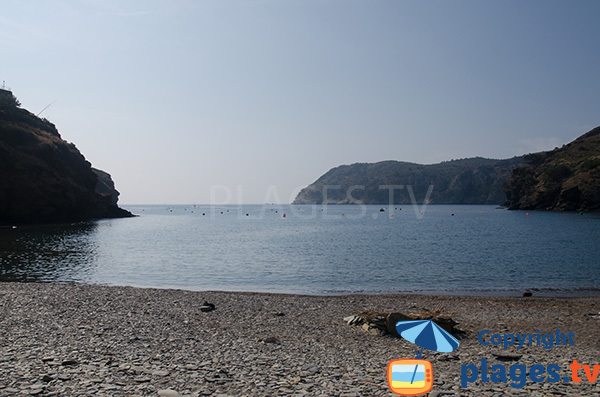 To come on this beach since Roses, take the direction of Cala Montjoi. 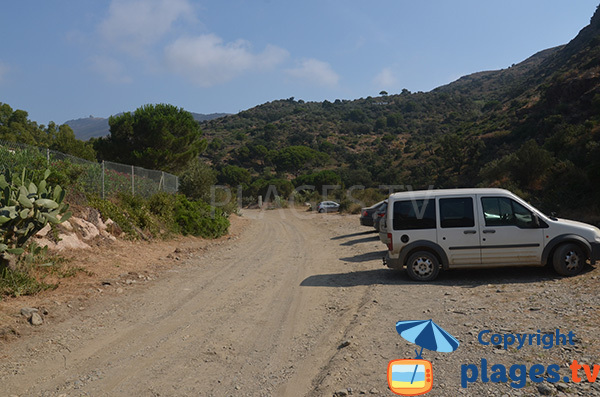 Past this last (behind the summer camp, the road turns into a track) and continue for 7 kilometers (about 25 minutes). We arrive on the free parking of the creek. 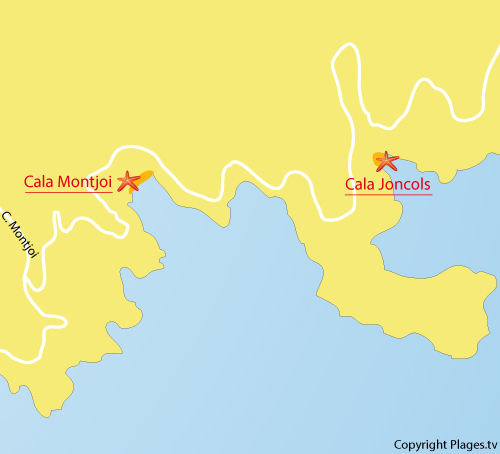 From the city center it takes 40 minutes to reach Cala Joncols. After a long drive, here we are in the creek of Joncols, mainly made of pebbles. Opposite is Cape Norfeu. Landscapes totally wild. A deep creek and well protected. But when there is wind here, it is a big breath ! On the heights, some small sandbanks and some shade. 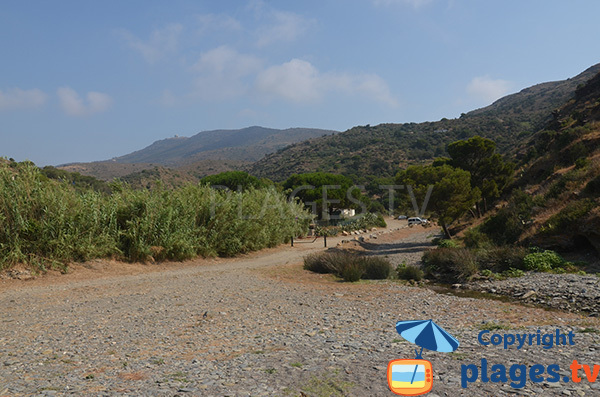 A particularity of this beach is to have a hotel. For those who wish to be totally isolated ! It is free. We see on this photo the track that we have to take to get to this creek.